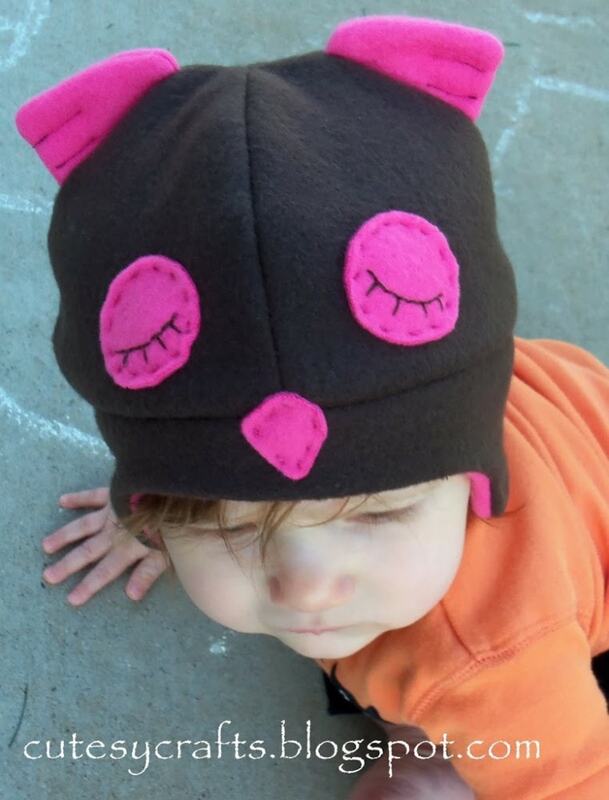 As promised, here are some photos of the fleece hat that I made for Leah’s baby owl costume. 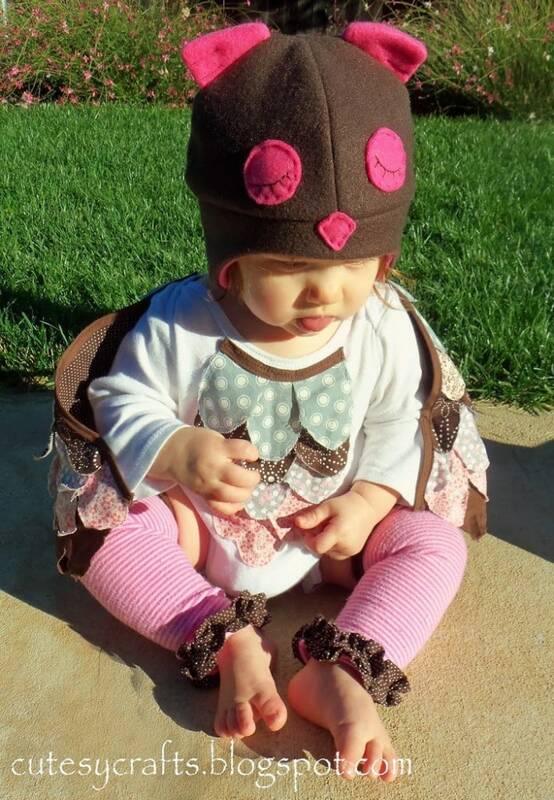 You needed to see the whole picture, so I got her dressed back up in her owl costume this morning. (The Halloween night photos were all ugly with the bright flash.) I found a free pattern here on Tracy’s Treasury for a fleece hat. I printed it out at 75% like she suggests for a baby. Really easy to make! Only $4.00 worth of fleece, and I still have enough to make a couple more. I’m never buying hats for my kids again!!! I added little feather tuft things (yes that’s the technical term) on the sides, a little beak, and two sleepy embroidered eyes. And just for fun, here’s a photo of the back of the costume again. Go here to see the costume tutorial. 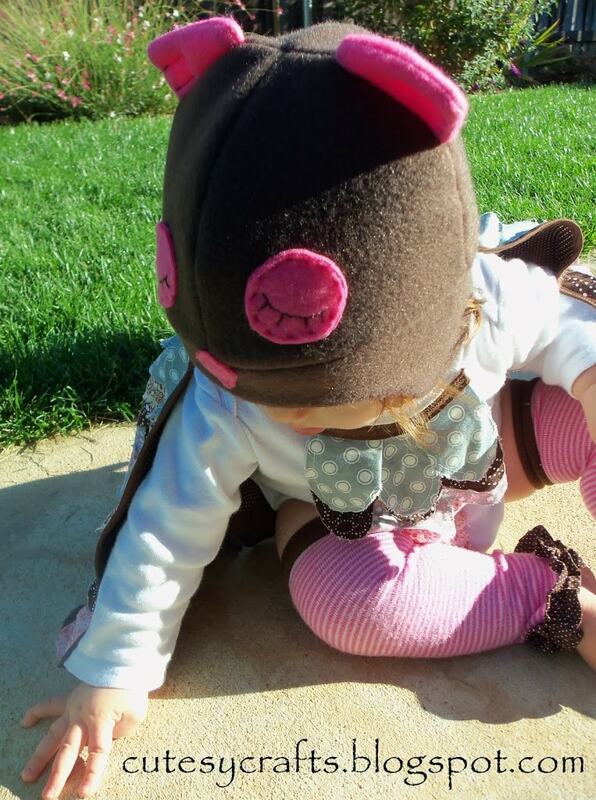 We don’t celebrate howloween, but this is an adorable outfit! 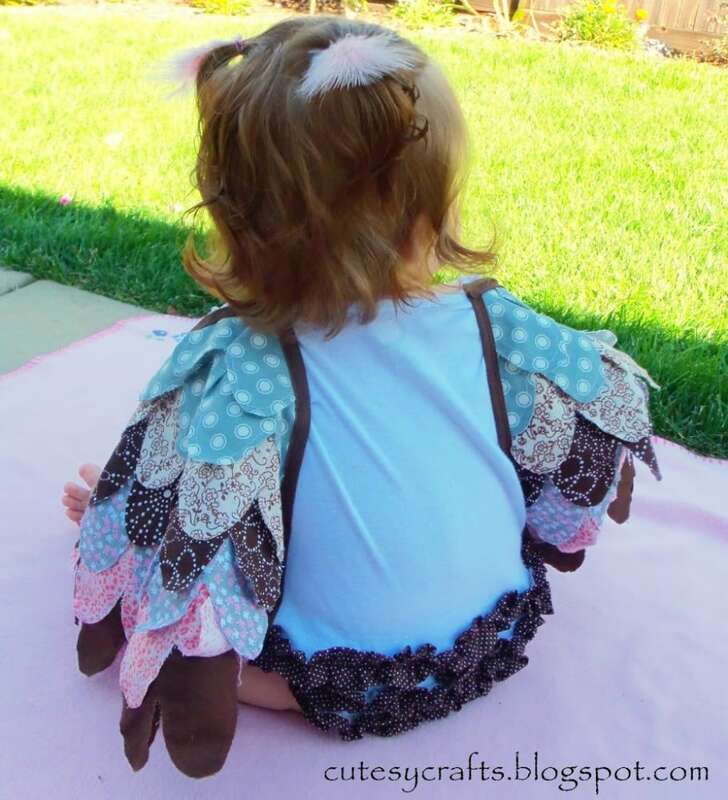 Owls are very popular right now too! Great job! Oh, thanks for letting me know. Looks like she’s no longer a .com but a blogspot.com. Just fixed the links.